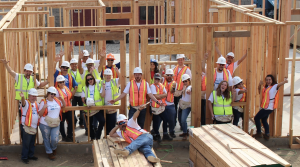 Antis Roofing encourages employees, business partners and customers to join its quarterly team build projects for Habitat for Humanity. If the name Antis Roofing & Waterproofing sounds familiar, it’s probably because you’ve seen it in the trade press quite a bit lately. 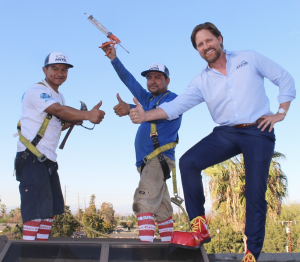 The Irvine, Calif.-based company received several awards at the 130th National Roofing Contractors Association Convention, including first place in the CNA/NRCA Community Involvement Award, which honors NRCA contractor members for charitable works. 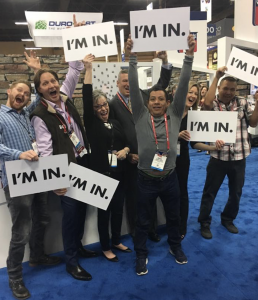 Two Antis Roofing employees, Narciso Alarcon and Manuel Cortez, received Most Valuable Player (MVP) awards from the Roofing Industry Alliance for Progress, and Alarcon was also named the Best of the Best by the Alliance and Professional Roofing magazine. In March, the company’s founder and CEO, Charles Antis, was elected to the board of directors for the NRCA. Later that month, he was honored by Alzheimer’s Orange County for his volunteer work on behalf of that organization and his company’s community service projects. In April, Antis was named to the board of the Orange County Ronald McDonald House. For Antis, the company’s community service projects are inextricably linked to its purpose and mission as a company. He says it just took him a while to realize that fact. Charles Antis was recently appointed to the board of the Orange County Ronald McDonald House. 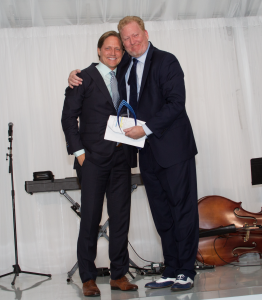 Antis Roofing CEO Charles Antis (left) accepts an award at Alzheimer’s Orange County’s 19th annual fundraising event from Jim McAleer, president and CEO of Alzheimer’s Orange County. Charles Antis believes the company’s philanthropic efforts have inspired everyone at his company and made it a more exciting place to come to work.